Download The X-Files Miniseries in Digital HD from the iTunes store. The X-Files Miniseries images are © 20th Century Fox. All Rights Reserved. It has been over 23 years since the original X-Files debuted on Fox Television, laying the groundwork for most of the modern television that we still watch today. The series centered on FBI agent Fox Mulder (David Duchovny) and his partner Dana Scully (Gillian Anderson) as they tried to prove the existence of a government conspiracy on the highest levels that was working against society and preparing the world for an alien invasion. After nine years on television, as well as two feature length films, the X-Files was greenlit to return to television after seeing how successful Fox's other revival mini series 24: Live Another Day was received. The mini-series, while not long in length was a collection of different episodes that the X-Files were famous for. The six episode collection is bookended by two mythology episodes (My Struggle, My Struggle II) that turn the show's long running thematic elements on it's side. 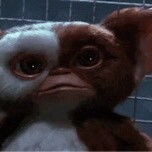 There is also a straight up horror episode, comedy episode, and some one-off monster of the week ones as well. Aside from the main cast returning for the mini series, some other familiar faces have returned as well, including Walter Skinner (Mitch Pileggi), Cigarette Smoking Man (William B. Davis), and Monica Reyes (Annabeth Gish). Aside from the X-File veterans that came back for the show, some newcomers help to round out some of the episodes, including Joel McHale (Community), Rhys Darby (Arthur Christmas), Lauren Ambrose (The River), Robbie Amell (The Flash). Also back are some of the directors that cut their teeth during the X-files original run. All these factors combined made the six-episode series a sweet, short tease harking back to the hey day of the original X-files television run. X-Files: The Event Series is encoded in 1080p AVC 1.78:1 with a sharp cinematic look and feel. Using a combination of the latest computer special effects, as well as practical effects, the show keeps it's early and unsettling look and feel. Blacks are on par and there are zero signs of artifacting. The audio, presented in lossless DTS-HD Master Audio 5.1, is a subtle mix that works perfectly for this type of show. Dialog comes through crisp and clear, while the special effects and the score are primarily relegated to the rear channels. Surprisingly, there is not a Digital HD copy of the series included with the Blu-ray set. However, all is not lost, as there is a plethora of special features included on the second disc in the set including Deleted Scenes, A Gag Reel, 43:45 - The Making of a Struggle -- A five part feature about what when into the making of the six part series. Season X -- A look into each episode included in the mini series. Monster of the Week: A Recap of the Wildest and Scariest from the Original Series, The X-Files: Green Production -- how the production went out of it's way to be mindful of the planet while filming the series, a short film called Grace by Karen Nielsen about a young girl surviving in the post apocalyptic world created during My Struggle II. After being off the air for over ten years, The X-Files event series was a nice return to form for one of television's most important shows ever created. For old-timers, the nostalgic feel gained from the series was felt all over the internet during it's initial run on television. For non-fans of the show, it was a mixed bag. With so many shows on television being serial in form the "one-off" episodes might turn off some new viewers. However, this is one viewer who fully enjoyed the season in it's entirety, as well as revisiting it on the Blu-ray pack. 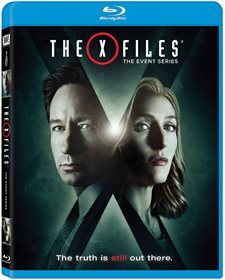 If you were a die-hard fan of the X-Files television show, or just a casual viewer, this Blu-ray is for you. If you are curious about the show, this is also a nice way to jump into the mythology before going back and investing over 200 hours in the 9 seasons before this one. 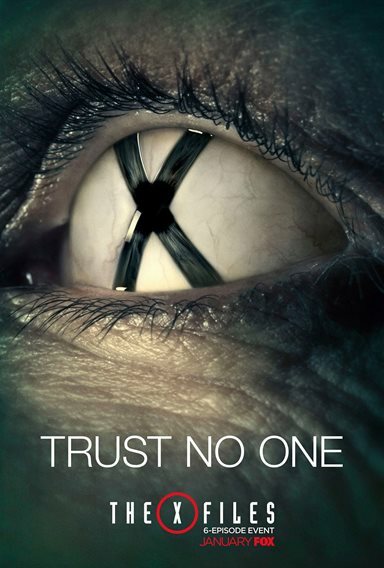 If you are a die hard X-files fan, you need to get this Blu-ray to add to your collection. It is everything you loved about the show, plus more, and simply whets your appetite to the idea of a series return ( which is most unlikely). Sadly, this is probably the best you will get, so don't miss out and get to the store right away to purchase your copy.